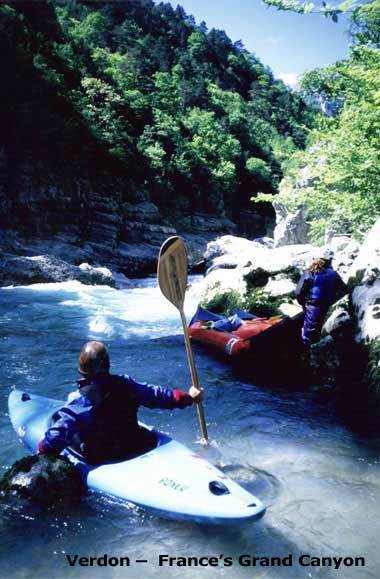 Alpine Whitewater Francaise specializes in Kayak and Cultural adventures in theAlps of Southern France. Think of rugged narrow canyons. See snow capped peaks and glacier fields. Add a brilliant blue sky and the hot Mediterranean sun. Look closer and see crashing streams flowing through boulder piles beneath dramatic geologic formations. Notice that the picturesque stone bridge just upstream is over a thousand years old. Imagine how the castle overlooking the river valley must have looked eight hundred years ago, when it housed knights on their way to fight in the Crusades. Combine France and the French Alps, great whitewater, beautiful scenery, and of course French wines and cuisine to create the most memorable whitewater experience of your life. In the summer of 2018, we are planning a paddling trip in the French Alps that will explore some of the world's most scenic and delightful white water. Each trip will last ten days and include at least six days of paddling. The first morning we will pick you up at the airport in Lyon and drive four hours to Barcelonnette where we get your boat. On the last afternoon we will drop you off at the airport, rail station or bus terminal for your return trip. Each night you will stay at one of the quaint inns that we have selected to be our bases for your paddling trips. Each group will stay at three different locations during their stay. This will allow us to be close to the rivers that we plan to run and have some time in the evening to enjoy the local culture. Many of the runs are short; most days we will paddle two or more sections. We also include an open day with hiking and sightseeing options to expand your boating vacation. 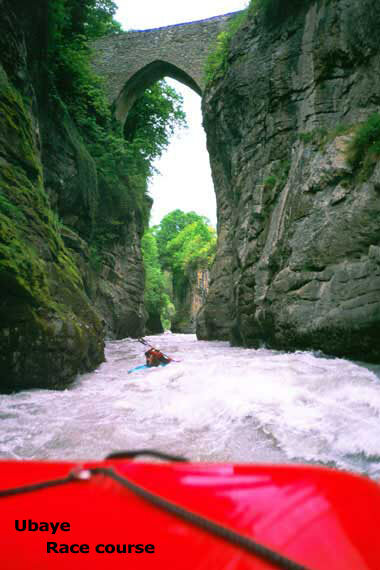 Though some may find the food to be the most exciting part of France, there is a great variety in whitewater. Because many of the runs are short, we will often make more than one run in a day. If we have a second or third run in the same day we might look at something a little more exciting. We will tailor the river choices to the skill and energy level of each group. The intermediate level rivers in the French Alps are comparable to the Lower Youghiogheny, Section III of the Chattooga, Browns Canyon of the Arkansas, or the South Fork of the American. Advanced boaters need to feel comfortable on the North Fork of the Stanislaus, Tygart Gorge, the Numbers of the Arkansas, the Upper Yough, or the Ledges of the Tellico. Each group will have a maximum of eight paddlers. When the entire group is paddling we will have a minimum of two staff on the river, with another running shuttle. On second runs we may split into smaller groups as desires and opportunities allow. For non-paddling companions who would like to experience France with our group, we have a reduced rate that includes transportation, lodging, and most meals. There will be some activity guidance available while the group is on the river. Additionally, on the open day there will be staff guidance for non-paddling activities, or if you choose you can set out on your own with your map, camera, bread, cheeseand the appropriate tasty beverage. Take out your map of Europe and look at southeast France. There you will see the extent of the French Alps. On the east is the Italian border and on the west is the Rhône valley. We will paddle as far north as Bourg St. Maurice, but the Alps extend past the Swiss border to Austria. The southern limit is where the Alps plunge into the azure waters of the Mediterranean Sea. We will negotiate sinuous roads over high plateaus and through dramatic mountains cut by deep river canyons. Look at the map - - the density of rivers is a paddler's dream. The stream character varies widely: from narrow creeks, to glacial valleys and classic canyons. Additional trips may be added... so stay tuned! Our targeted runs include the Verdon,Var,Vesubie and Tinée in the south. Farther north we find the Durance, Guil, Gyronde, Guisanne, Bachelard, Claree, and Ubaye, and as you travel to the northern end of our range, the Drac, Severaisse, Doron De Bozel, and Isère. These classics are only a taste of the myriad streams that await us. Though the air will be warm to hot and the skies blue, the water can be glacial cold depending on how close to the source we are. Bring a dry top or drysuit as if you were paddling on an April day in West Virginia with the air temperature of 80 or 90 degrees Fahrenheit. You will need your fleece, booties and poagies on some rivers. 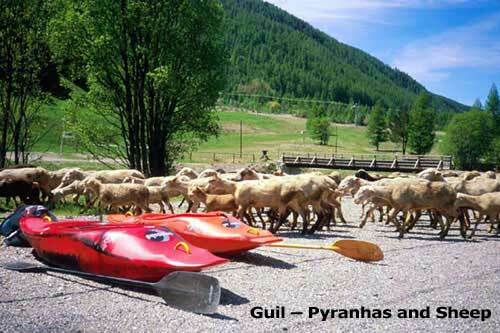 Most people like to use their own paddles and skirts, though we can obtain almost any boating need from our supplier. Let us know ahead of time of any special equipment needs. Of course we supply the boats and outfitting. Boats are available from Eskimo, Prijon, Perception, Pyranha, Necky, Wave Sport, Riot, BlissStik and Dagger. We will reserve one of your boat choices and have it waiting. 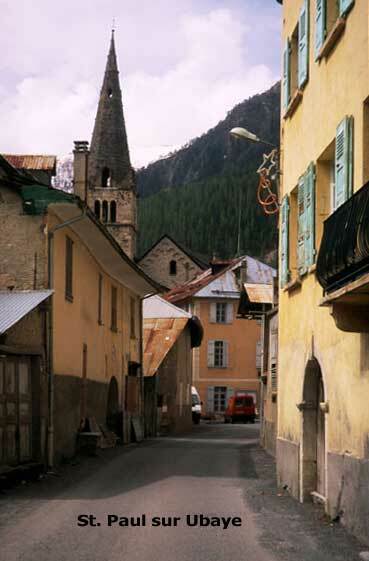 The towns of Barcelonnette, Briançon, Castellane, and Bourg St. Maurice will be our home bases. We have accommodations at picturesque lodges and farms, providing regional French cuisine for breakfast, lunch and most dinners. We will eat out at a local restaurant one night in each of our three areas. In the evenings you will have time to explore the villages where we stay. With Pierre's guidance we will delight in the local wines and other treats that abound. The cost for each paddler is $4,000 for each 10-day trip. This includes all expenses except airfare (we can provide some help in getting the best airfare deals) and alcohol. The cost for non-paddlers is $3,500, also excluding airfare and alcohol. In order to reserve your place on the trip of your choice, please send a deposit of $1900 per person to our office address by February 1, 2018. We will then send you an information packet with your confirmation. Due to fluctuations in the value of the US dollar there could be a small price adjustment as we get closer to trip dates. Mykl Messer is known throughout the Mid-Atlantic for his Rainbowave Paddles. He was a professional guide, safety and video boater on the Upper Yough, Cheat, Gauley, Russel Fork and other rivers in the Allegheny Mountains. He has dual US-French citizenship, and speaks French jus fin. He owns Mykl Messer Designs, crafting fine wooden furniture and lathe-turned objects in bustling downtown Valley Point, West Virginia. Teresa Gryder is a student of life, medicine, and the river. She is a licensed Naturopathic Physician with a private practice in Portland, Oregon. Her broad knowledge of both alternative and conventional medicine helps people understand which treatments are most likely to be helpful ( and which are bunk ), and how to prevent disease in the first place. Her first career was in whitewater recreation. She taught kayak, canoe and river rescue, paddle raft guided, safety boated, video boated, river rangered, championed watershed conservation, and generally lived it up on rivers all over the US and abroad. 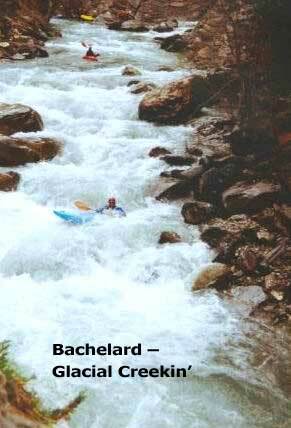 She is eager to return to France for another round of Alpine whitewater, food, wine and laughter with Mykl. Pierre and Lionel LaFay speak excellent French, as they are natives. Together they own Coureurs de Rivières, and Oueds and Rios, whitewater rafting and excursion companies in the Southern Alps. Pierre is a formidable boater with an infectious laugh, and resides in Barcelonnette on the Ubaye River. Big brother Lionel raced C-2 on the French slalom team (in the dark ages), and is based in Bourg St. Maurice, on the Isère. In the heart of classic Provence, we find Didier Menard who speaks French with the local accent and owns Aboard Rafting in historic Castellane. They specialize in canyoning, hydrospeed, VTT, climbing, raft and kayak experiences in and around the Gorges du Verdon......Europe's Grand Canyon. Text and photographs on this site are courtesy of Teresa Gryder and Mykl Messer. Please report any broken or missing links.